Every season there are a couple of brands that will launch a product that stays with me for a long time. GOSH is certainly of them. They are always focused on genuine Nordic ingredient, and are always introducing new ones into the lines. This season, meet the dandelion. Personally, I really enjoy how affordable, high quality and extensive the range is; and for Spring/Summer 17, they keep growing it: there are tons of new products as well as additions to much loved lines. For me, their pencil products are just amazing – application, durability, versatility – you name it and they have it. Their new CCC (contour, cover and conceal) chubby concealer stick is no different. It comes in six shades including two shimmery ones which make amazing highlighters. My favourite is the 001 Highlight Vanilla, which is a fabulous discreet highlighter, perfect to use alone or underneath a powder one for amped-up glow. The cream is light and turns into a perfect finish upon blending. Amazing. They cost £9.99 each and are already available. They are perfumes and parabens free and shades 001 and 002 are vegan. Also already launched and creating a social media furore are the matte liquid lipsticks. No secret (or surprise) I became a fan of those pretty quickly and they’ve been the thing on my lips for almost a week now. Coming in eight shades and costing £8.99, they apply like a dream with a velvety finish. It is not drying and doesn’t bleed, wearing out quite nicely too. They are also vegan friendly and infused with dandelion leaves extract (full of carotenoids, vitamins A, B, C and D, minerals, flavonoids ad sterols) and LIPerfection, GOSH’s ecocert certified lip plumper. The colours all carry a hint of pink, from the nudes to the purples, without a brown in sight (amen to that!). For the eyes comes the Volume Serum Mascara, which has the finest comb brush I’ve ever seen. It does take a little bit of getting used to and it gives lashes amazing definition. I think it’s perfect for bottom lashes and the RRP is £13.99. In the eyeliner department, there’s a fabulous super pigmented Giant Pro Kajal (vegan friendly, £7.49), the Giant Pro Double Ended Liner (£10.99). Durability is great and application easy, although I struggle a bit getting definition with kajals. They also have the Infinity Eyeliner (£6.99), which is soft as butter and durable like a marker pen. No joke. The Ash (006) colour is very close to black but not as harsh, making it a perfect shade to define without being too heavy. It is very close to Charlotte Tilbury’s The Classic. Now, the Eye Xpression eyeshadow quads (£8.99) are super useful: perfect size to have on the go, fabulous, versatile shades with the exceptional quality of GOSH shadows. Warm neutral BackToNature has become a fixture in my makeup bag. Have I mentioned how much I love their matte Velvet lipsticks? Oh! I do! And they are adding five shades to it: pretty pinks and mauves as well as a killer orange red. They cost an affordable £7.99 each. And for the fans of Lumidrops (£8.99) highlighters, there are two new additions to the line, but this time blushers: a pink and a peach based. They highlight and colour at the same time. So pretty! So, for a makeup refresh for the (sooooo expected) new season, you know where to go! GOSH is available at Superdrug. A bold lip is something I sport more often than not and while it is usually red, I am also a big fan of popping pinks, so the B. 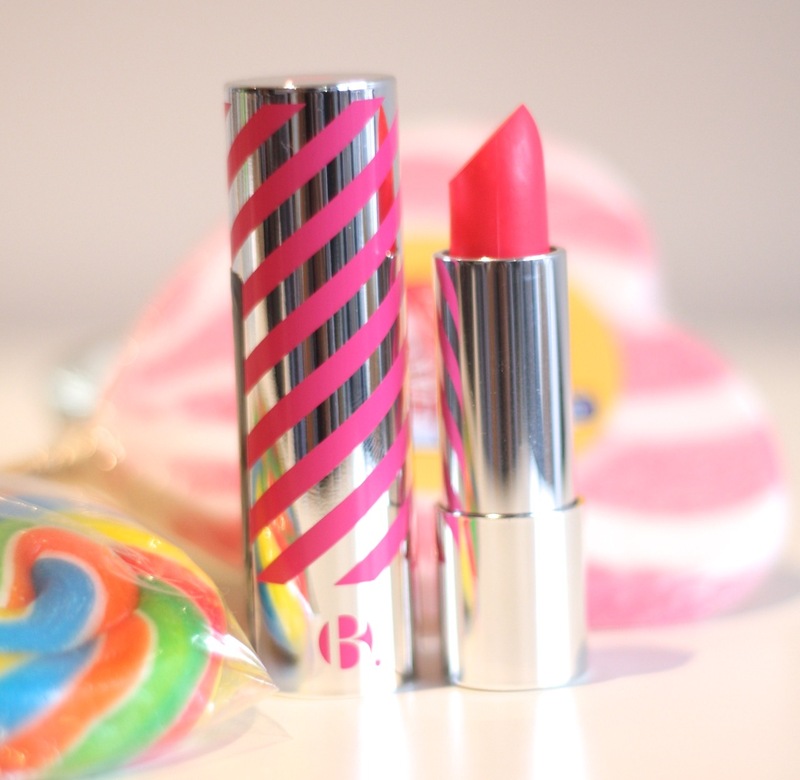 Sweet Sherbert Dip lipstick is just up my street.